This concoction looks ridiculously amazing and I’m THIS excited to try it. As luck would have it, a trip to Trader Joe’s is on my agenda today. And the key ingredient for this drink just made it on my list. i’m back! rounding out july with the last (for now!) thirsty thursday post. and since trisha decided to kick off the series with our beloved hendrick’s gin, i thought it was only appropriate to end the series with a hendrick’s cocktail as well! 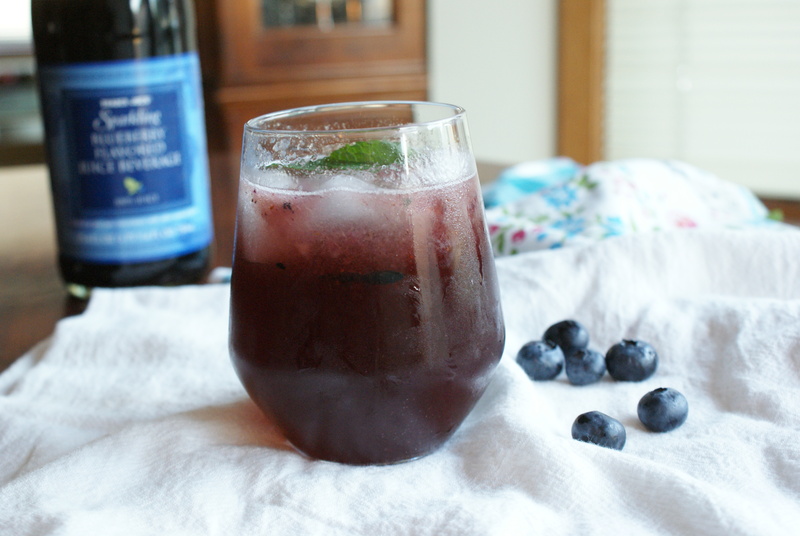 enter the blueberry basil gin spritzer. a long name for an incredibly delicious drink. now i must confess that at first i tried a different recipe that didn’t quite pan out. think too much soda water, not enough flavor, and a simple syrup that didn’t taste like anything. so yea, that one got put in the “don’t make this again” file. i think i got it right on the second try though. my tastebuds certainly think so. yea. this fell out of the sky on my quick trip for to trader joe’s for sangria supplies (that’s a thing. and no, my life does not solely consist of making alcoholic beverages, thank you very much!). 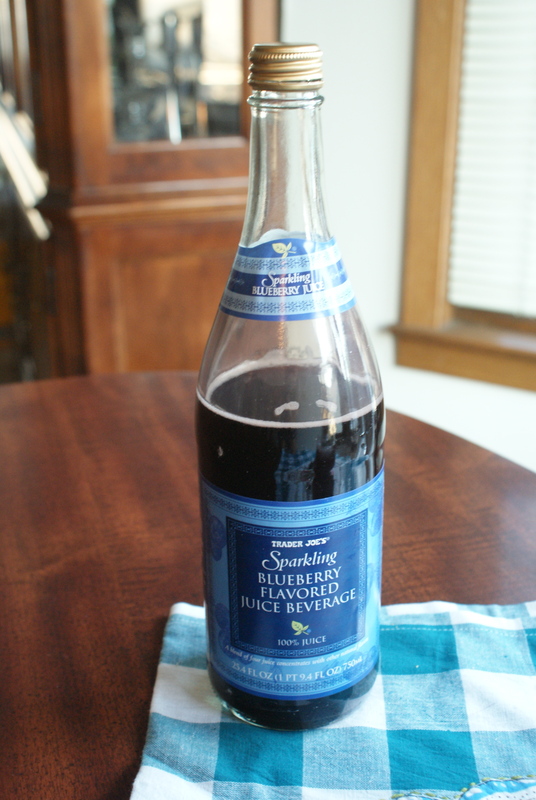 it’s like trader joe’s knew i needed something to jazz up my thirsty thursday cocktail, and that it needed to be blueberry flavored. thank you tj’s! this cocktail is gorgeous, i mean, wouldn’t you drink something that is such a beautiful purple color? yes, you would. and you should. but it doesn’t take a lot to make it look so beautiful. just a few simple ingredients and some muddling, and you have a delicious cocktail in hand. because i’m bossy, i think that you should make one of these, maybe as dessert after grilled chicken and corn on the cob, and watch the sun go down. the sky will turn exactly the color of your drink after a while, and i think that’s pretty poetic. 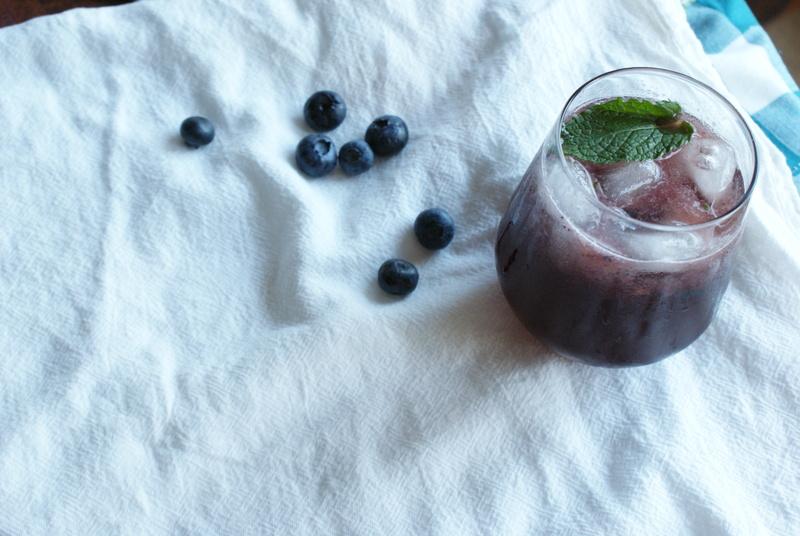 mix blueberries, basil, mint, and sugar in a cocktail shaker (or a mason jar, something with a lid), until the blueberries are fully smashed. add the gin and shake well to mix. fill a glass with ice and pour in the liquid through a strainer. 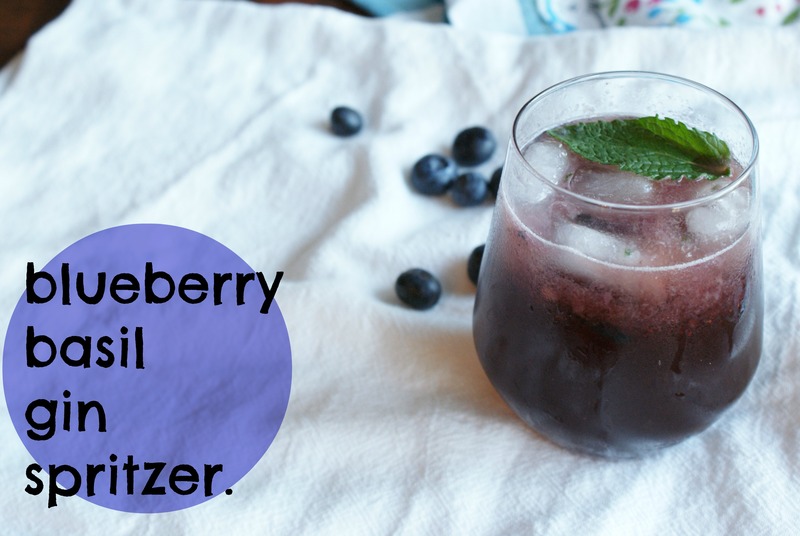 top with half blueberry/half club soda. you can adjust the amounts depending how sweet you want your cocktail. 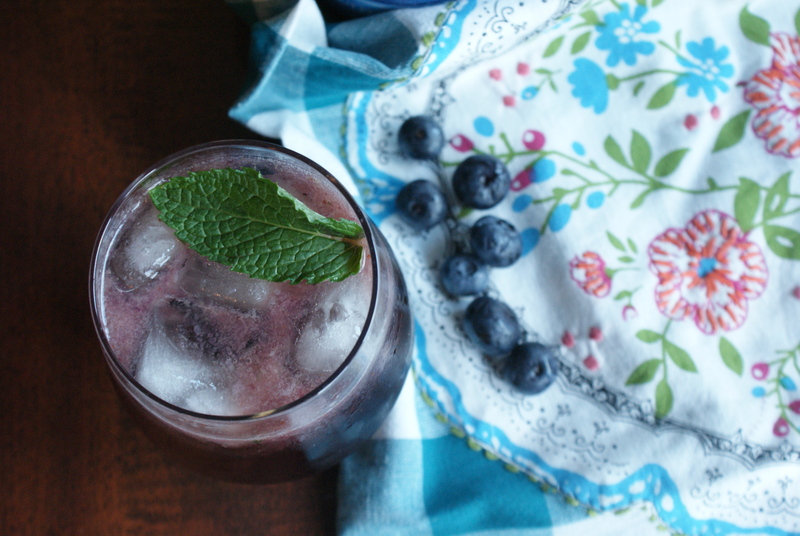 garnish with a mint leaf and enjoy! i want to raise a glass to trisha, because without her, this collaboration would never have happened, and the world would be without the four delicious cocktails we invented! i have had so much fun thinking up (and testing!) these recipes, and i have loved getting to know the wonderful trisha even better over the last month. there is nothing like a great internet friend, and she is definitely one of mine! thank you so much my dear! is it weird to like my own recipe? maybe. either way, i am so happy we did this. looking forward to the future lady! Did u mean mint, or did I miss the basil somewhere? I love the pictures!